Here’s one we’ve been seriously waiting for, for a few years now! Chris Rye has been putting in some heavy work to get the ““Go Fast Pull Up” The Jimmy Levan Story done, and it’s finally about ready to be released. Above is the final trailer to get you hyped, and they’ve opened up Pre-Orders on the Props Website with the DVD and some extra merch that will be shipping out starting April 8th! This is bound to be AMAZING, so get your credit card out and get your Pre-Order in now! “GO FAST PULL UP ‘The Jimmy Levan Story’ – A Feature length BMX documentary. Please choose from Bluray or DVD format. What are you doing Friday, March 29th? 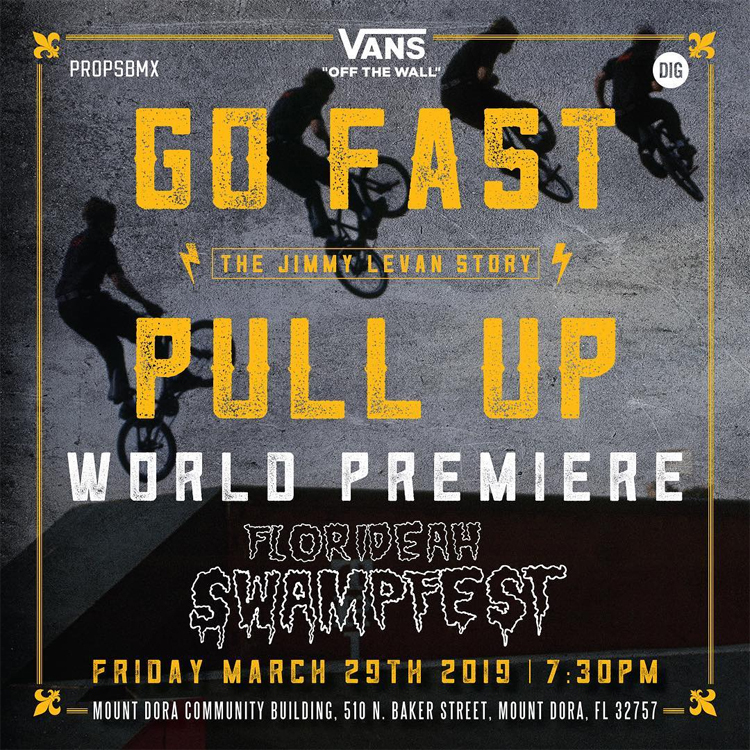 Well, if you happen to be in Florida for the annual FloriDeah Swampfest contest, you’ll want to roll on over to the Mount Dora Community Building in Mount Dora, Florida for the world premiere of the long awaited, highly anticipated “Go Fast, Pull Up – The Jimmy Levan Story” video that will be premiering there! Chris Rye from Props and Jerrod Glasgow have been putting in some heavy time and a lot of miles to make this one and it’s bound to be amazing. You will NOT want to miss this if you are in the area. If not, we’re sure it’ll be available to buy shortly after! “ eagerly-awaited documentary film about @levanjimmy “Go Fast Pull Up” is having its world premiere the night before #Swampfest. 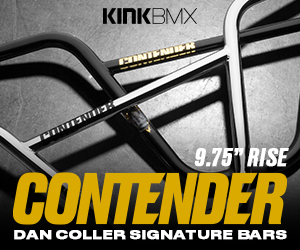 Presented by #vansbmx #propsbmx #digbmx. Friday, March 29th at the Mount Dora Community Building, 510 N. Baker Street Mount Dora, FL 32757. Theater is located approx 12 miles from Swampfest grounds. Doors open 7:30pm, movie at 8pm w/ a 1hr 45mins running time. Free admission to Swampfest attendees w/ beer, wine and liquor available at the venue. The church gap @standardbykecompany Trail Boss build from the movie will be on display for all the midschool fans. Pre-orders opening March 15 and yes we will have copies available at Swampfest. The second podcast from Snakebite BMX Podcast is now live! This time around Shad Johnson catches up with Jimmy Levan to talk about a TON of different things from what’s new to his deep history in BMX. This is one of those podcasts you do NOT want to miss. Shout out to DIG for making this happen. Talk about a Flashback Friday! DIG just dropped this video Sean Burns put together from lost Metal Bikes footage that Jimmy Levan was sitting on! Hit that play button to see some GOLD that was just waiting to be seen, then hit the DIG website for more photos and words! Want to see how Jimmy Levan is living these days? Head over to ESPN BMX to check out a new House Check that Jeremy Pavia shot! Looks like a rad place to call home to me! ESPN BMX caught up with Jimmy Levan to talk about his experience at the very first X-Games back in 1995. Definitely a few funny stories in this quick video.